We’ve finally got quite a cold snap in Arkansas. It’s been in the 20s, (-6 c) or lower, since I’ve been back. I actually really like it. I get to bust out my extensive coat collection! But today I really just wanted to showoff my new shirt that I thrifted while I was home. But in order to do that, I thought I’d share my top tips for layering! While I do live in the south, we do get some cold snaps so I’ve learned some tricks to help me stay warmer. 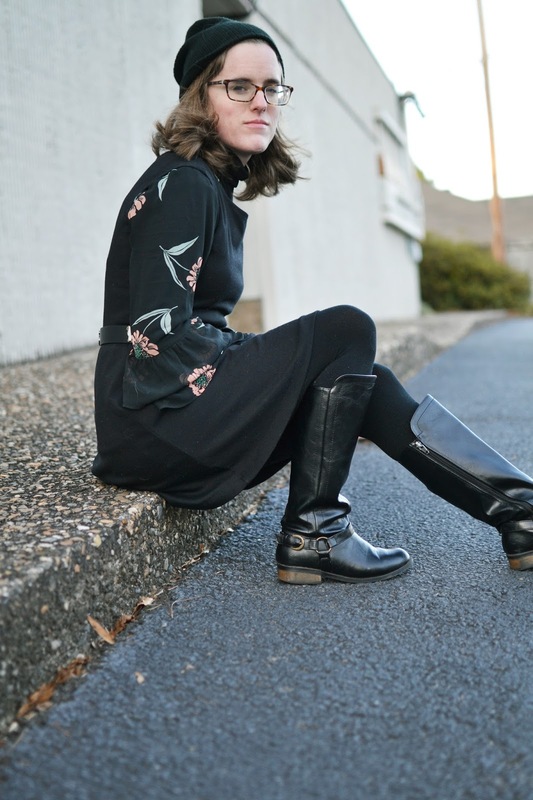 I discovered fleece lined tights while I was in Germany with a friend (hey, Maddie!) and it was so cold. We wandered into this crazy German Department store and she suggested I pick up a pair. I actually think I still have those tights too! If it is really, really cold you can layer regular tights underneath them for even more warmth. I’ve found the fleece tights to be enough in the climates that I’m in though. 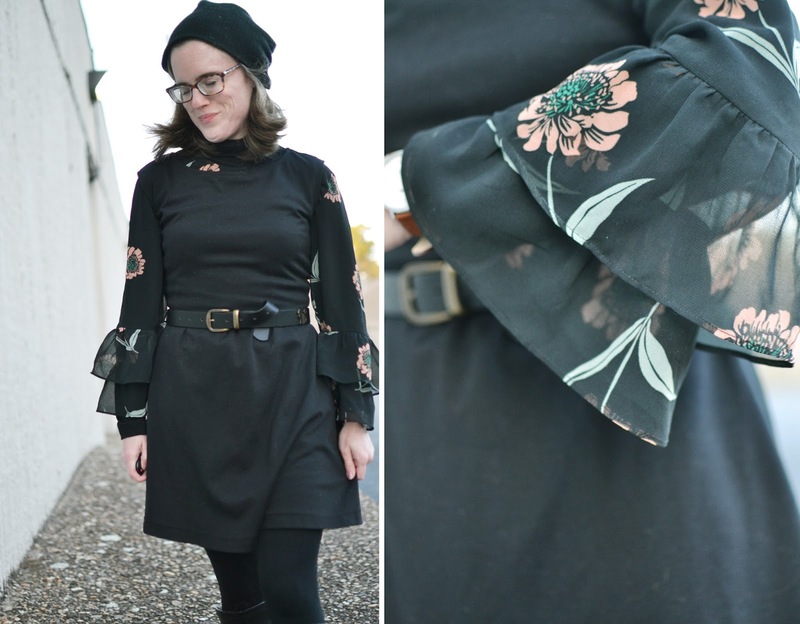 Another layering trick that I’ve found really helpful (especially if you want to wear a sheer shirt like I am here) is wearing a fitted turtleneck underneath long sleeve shirts to add another layer of warmth. I also have a few Under Armour shirts that work in a similar way. I use them mostly for working out but they can be really nice if I’m out shooting or filming and need to layer so I can take off my coat and now want to die! I like the turtleneck trick though because I find it makes things a bit more seamless. 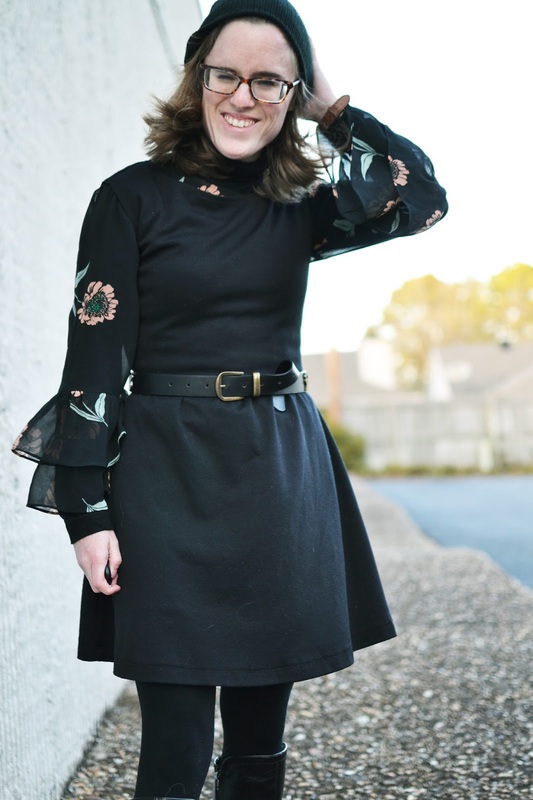 For this outfit, I chose a black turtleneck because the sheer top is black so, you can hardly tell I have two different shirts on! 3. To break up your look, add a little color! I don’t know what it is but winter seems to make everyone (myself included!) dress in the darkest clothing all. the. time. 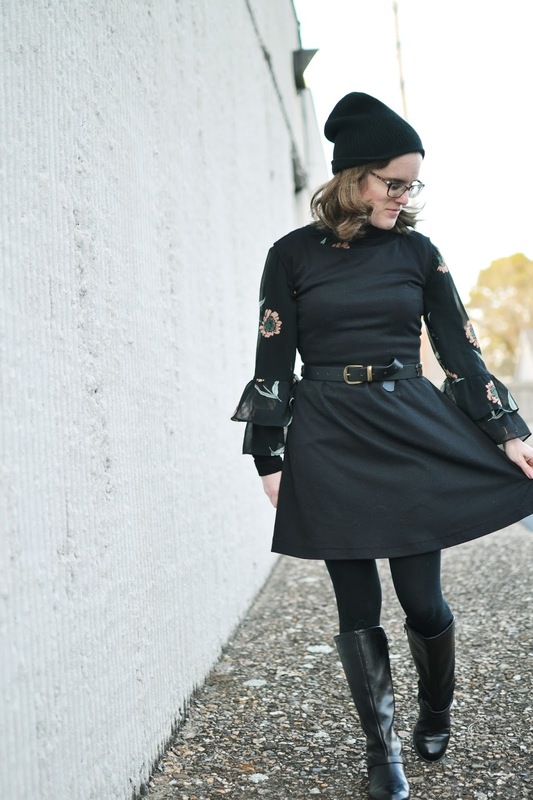 But I’ve found one way to beat the winter blues (and still look super chic!) is add a bit of color to your layering. 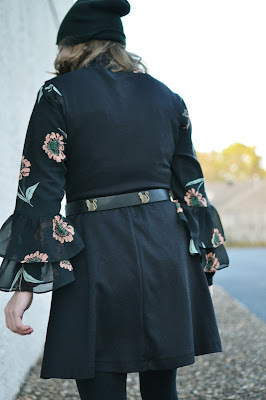 I either like to add a bright coat (you’ve seen my beautiful Read Coat) or I like to add just a little bit of pattern into the look if I’ve got a monochrome color scheme going on. I think it just adds a little bit of interest and breaks things up a bit. What are your best tips for staying warm in the winter?